I tried. I thought for some reason I could do it. f.a.i.l. When they came out of the oven I thought I had succeeded. The crust was sounded crunchy and wonderful. 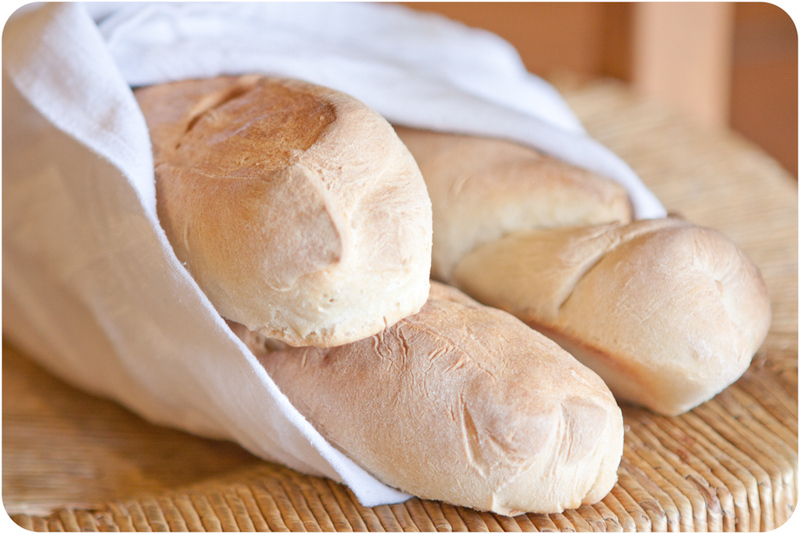 But after they cooled they turned out to be nothing more then tasteless, white, baguette-shaped, bread-like tubes. 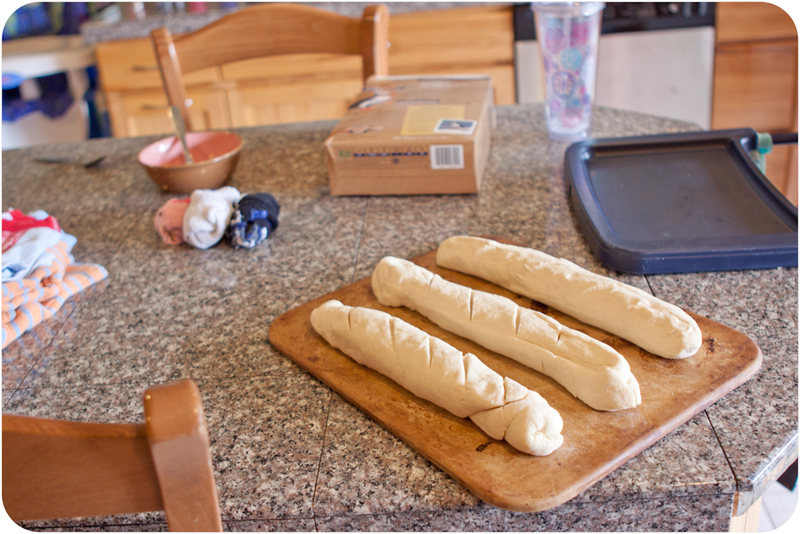 Have any of you ever successfully made baguettes? Is it even possible in a home kitchen? 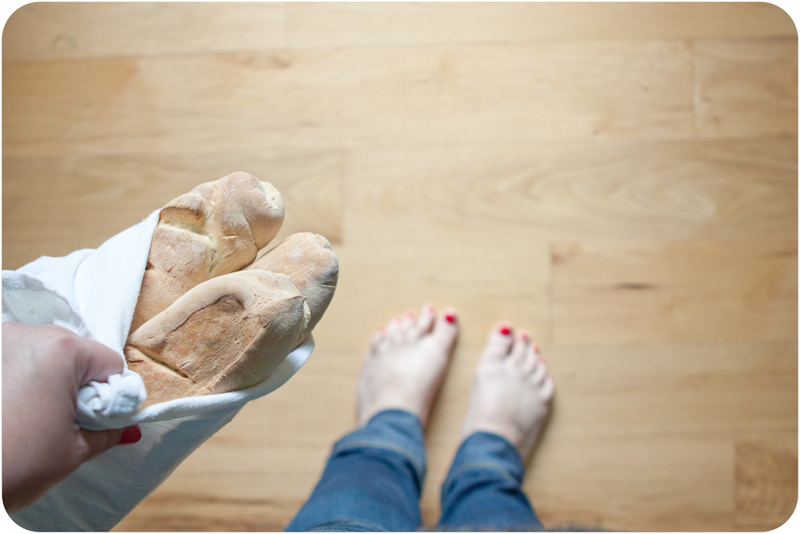 I am hunted by the memory of a real French Baguette sold on every corner in Paris. 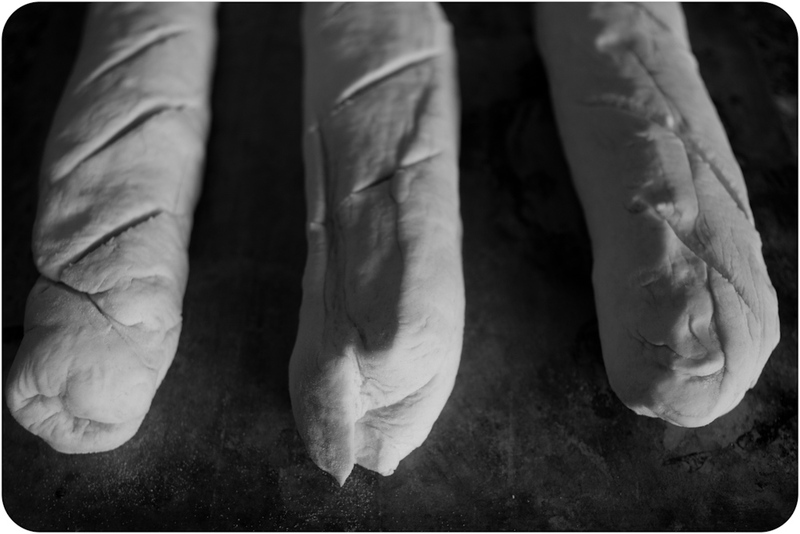 This entry was tagged baguettes, French food, madey edlin. Bookmark the permalink. I’m so sorry! Don’t give up, you’ll figure it out. If you have some extra time, maybe you could try shaping this recipe into baguettes. It is a pretty loose dough but I’m sure you could make it work. (Worst case it just tastes good. 🙂 Try it out. 1. In a bowl, mix all ingredients, DO NOT KNEAD. Dough will be loose. 4. When needed, take out a ¼ of the dough. 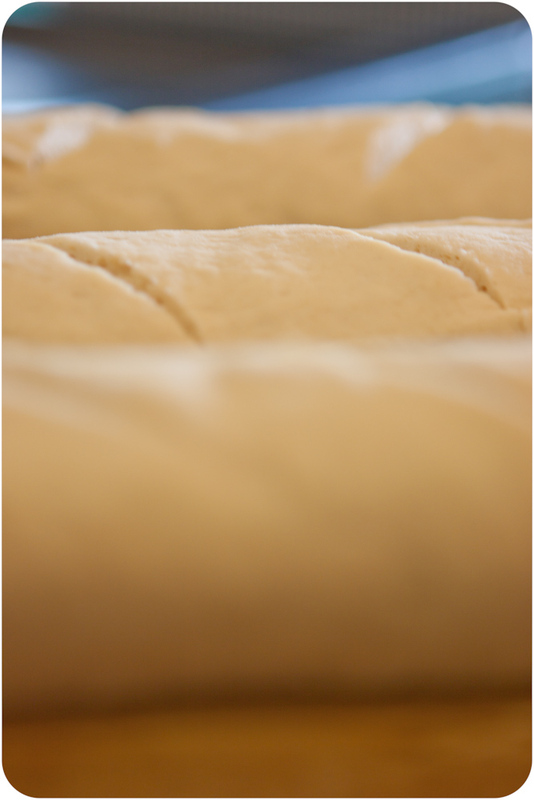 Knead, and maneuver in to a round loaf, with rounded top. Let rise. 5. Preheat oven to 450°. Put 1 cup of water in a broiler pan on the bottom rack. Put pizza stone on top rack. 6. Sprinkle pizza stone with cornmeal, and top of loaf with flour. 7. 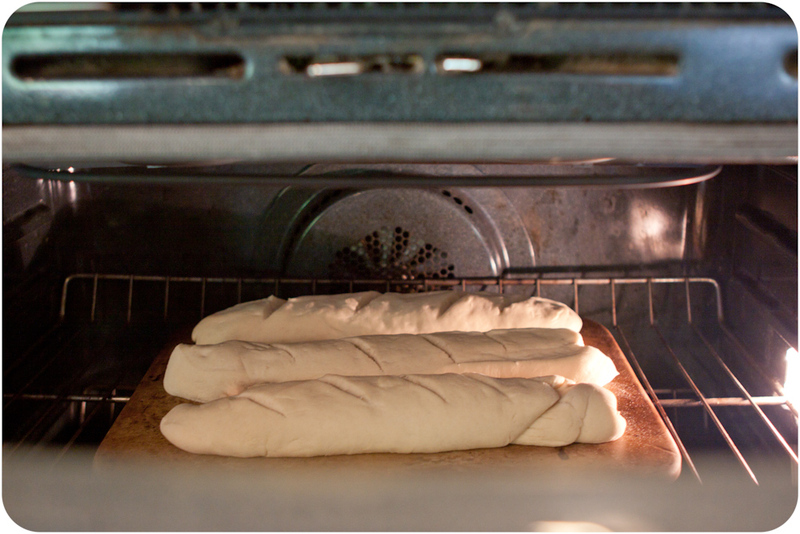 Bake bread for 30 minutes. I talked to some women at a store one time when i was looking at this funny thing…Check this out..
She said that it works wonders for baguettes. May be worth a shot. Haha! No, I’ve never made them, but I’m interested in knowing if you ever figure out how.